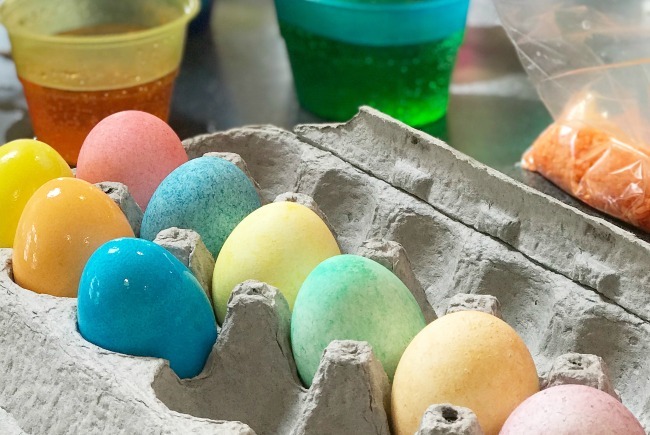 Today we learned a new and easy way to color eggs. 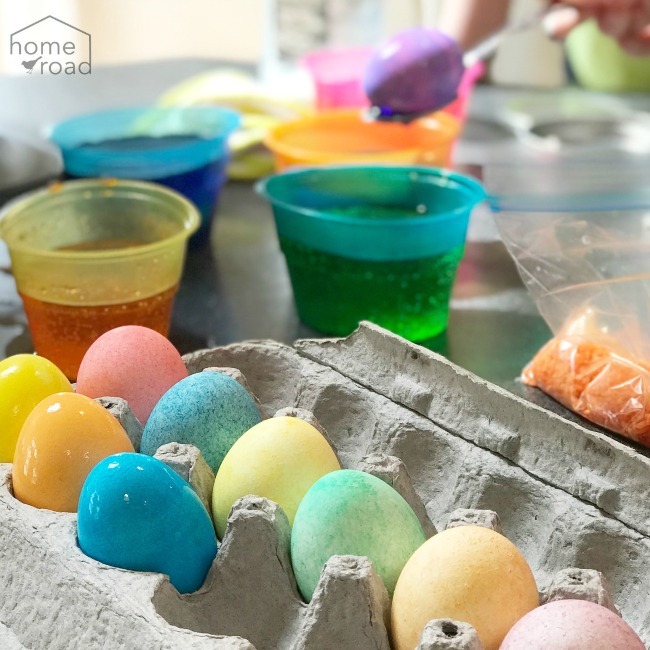 My four daughters and 3 grandsons got together for some Easter Egg coloring chaos fun today. I started out by hard boiling 18 eggs at 5:30 this morning so they would be ready for the fun. Well... they were not ready. Apparently you need to boil eggs for a little longer than I thought when you have all 18 in the pot. Luckily my daughter couldn't wait and cracked one open to find our soft boiled problem. I probably should have used the egg steamer (affiliate link) I bought a few weeks ago... would have made the job much easier! It was not a problem for long because I popped the eggs back in the pot and boiled them for a little longer. 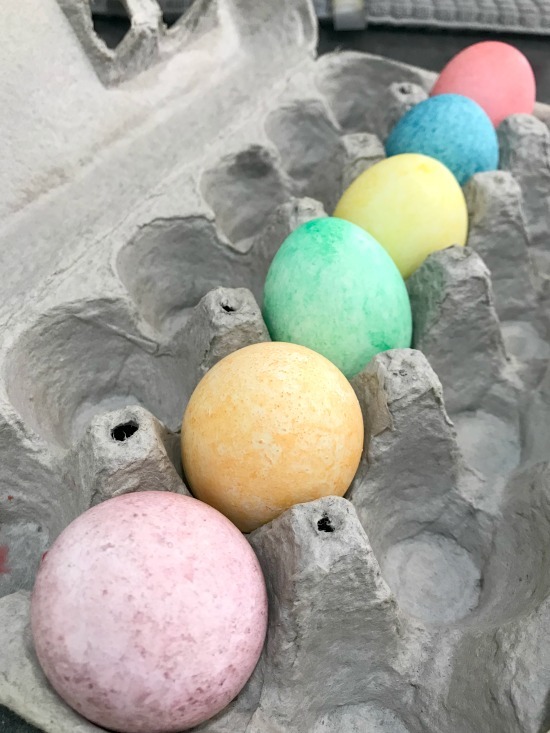 Next came the egg dying. Imagine if you will, the cooperation of four daughters, 1 crying baby, a toddler, and one 3 1/2 year old taking all of this very seriously. Add to that the soft boiled egg incident and we had nothing short of a loud busy kitchen! 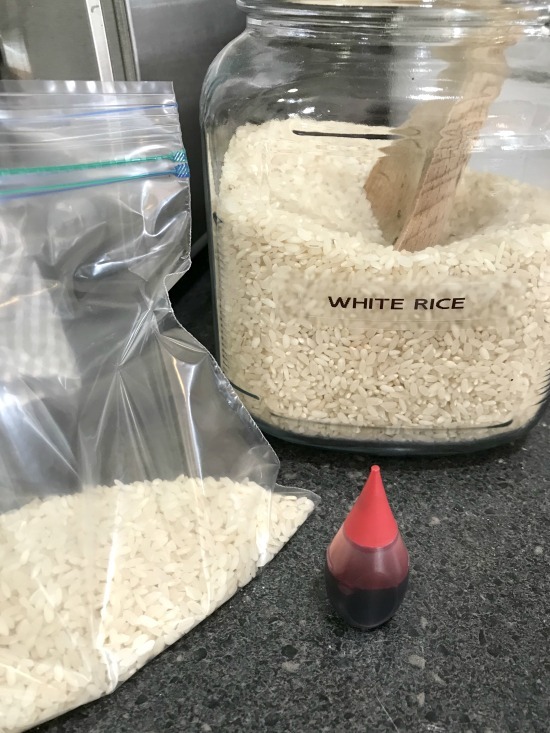 This year we are trying a new way to dye the eggs using white rice. 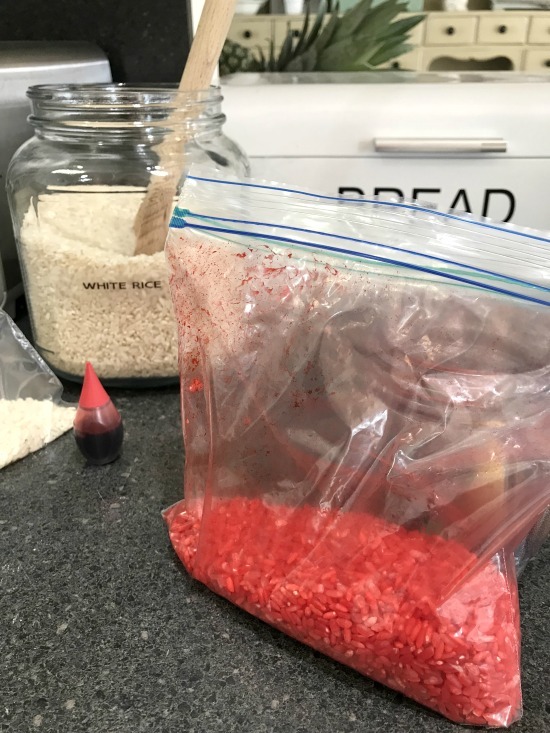 We filled sandwich bags with dry white rice then added about 6 drops of food coloring to the bag. We did this for five different colors. While our eggs were slightly wet, we dropped a hard boiled egg into the bag and gently shook the bag. 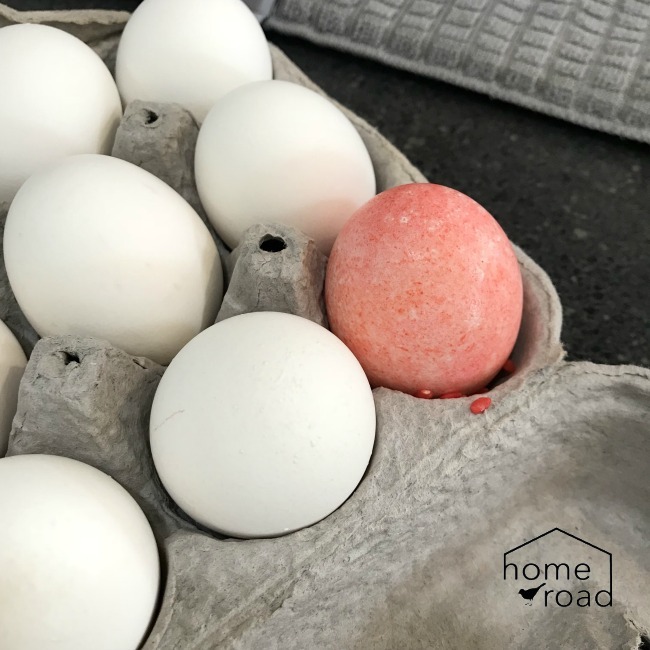 The eggs came out with a beautiful speckled design. 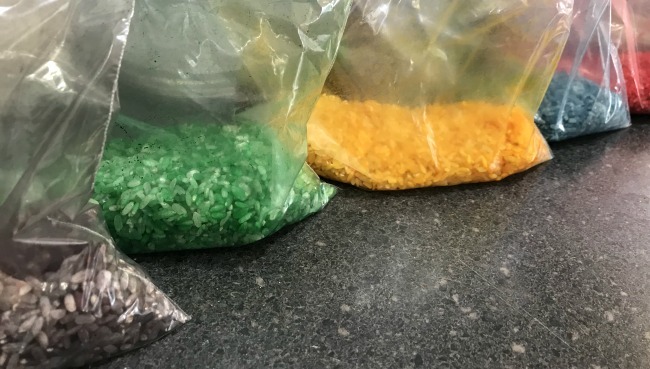 We did the same with the rest of the colors. They were so easy to make and came out amazing!! 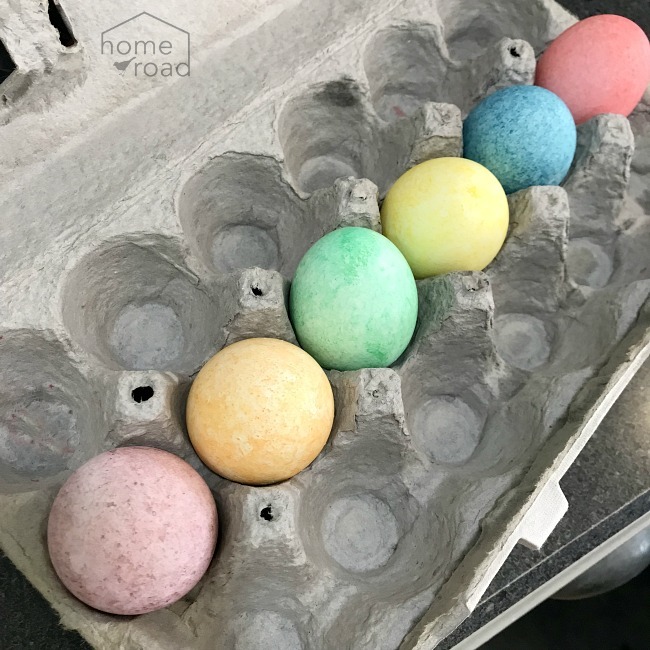 And because our 3 1/2 year old grandson wanted to do it the "regular" way we also used the old vinegar and fizzy dye method. We had a fun time but due to our hard boiled egg debacle, we ended up with a lot fewer eggs than we started with. this fun family and our new batch of grandchildren this year. with my latest DIY project sent straight to you! This is very cool, Susan. I am going to try it with my brood this year! Happy Easter!